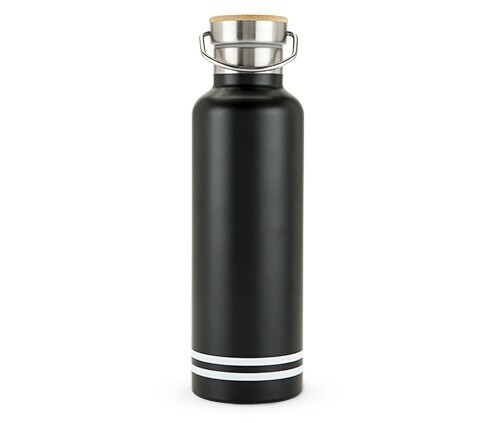 This matte black, double-walled stainless-steel water bottle makes the perfect companion for any outdoor adventure or road trip to the beach with its easy-to-carry handle. Holds 25 ounces of your favorite beverage. Customizable.